The first volume of the POSA pattern series introduced a broad-spectrum of general-purpose patterns in software design and architecture. The second narrowed the focus to fundamental patterns for building sophisticated concurrent and networked software systems and applications. 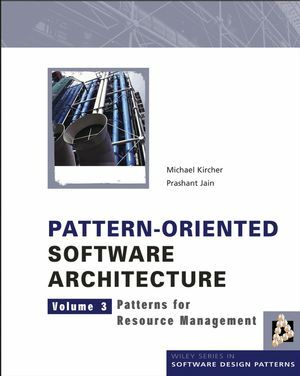 This volume uses design patterns to present techniques for implementing effective resource management in a system. The patterns are covered in detail making use of several examples providing directions to the readers on how to implement the presented patterns. Additionally, the volume presents a thorough introduction into resource management and a case study where the patterns are applied to the domain of mobile radio networks. The patterns are grouped by different areas of resource management and hence address the complete lifecycle of resources: resource acquisition, coordination and release. 1.1 Overview of Resource Management. 1.2 Scope of Resource Management. 1.4 Patterns in Resource Management. 5. Guidelines for Applying Resource Management. 6. Case Study: Ad Hoc Networking. 7. Case Study: Mobile Network. 8. The Past, Present, and Future of Patterns. 8.1 The Past Four Years at a Glance. 8.2 Where Patterns are Now. 8.3 Where Will Patterns Go Tomorrow? 8.4 A Brief Note about the Future of Patterns.